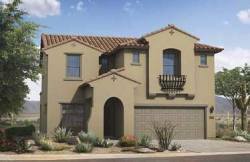 An interesting note about the new homes at Cabrillo Point is that all of the models have two or three bedrooms. Also all of the homes are two story. You have the option of adding a 4th bedroom in some cases. I wanted to mention these things up front in case that doesn't fit with what you are looking for. 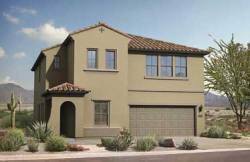 Pulte claims that this is the first neighborhood in the Phoenix area to be built truly "green". I know for some people this is important, but even if you aren't quite as concerned about your carbon footprint you should still be interested in the energy efficient features built into the homes at Cabrillo Point. You might as well enjoy the reduced utility bills! Located near 75th Avenue and Bell. There are approximately 69 new home lots. 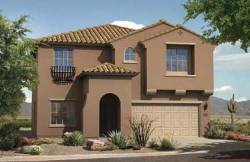 New home builders change prices often so please visit Cabrillo Point for current information. 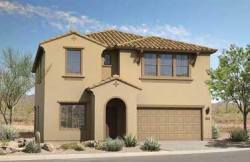 The homes range in size from 1,479 - 2,228 square feet. 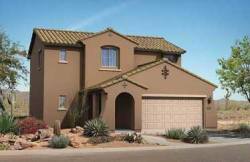 The builder is Pulte Homes. 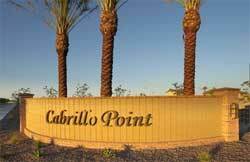 Families living Cabrillo Point are in the Peoria Unified School District. The links below will take you to the individual school's report card which indicates its status under the federal No Child Left Behind Act. Basically these reports can be used as a high level overview as to whether the entire school is performing well or not. Historically the Peoria Unified Schools District school's have been top performers. 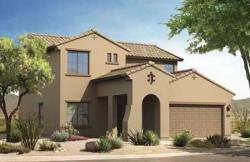 Give me a call if you are ready to go visit this Peoria Arizona new home community. I hope that you will allow me to earn your trust and confidence and become your Peoria Arizona Realtor.